This week in Boston Building Babble we take you back, 119 years back, to 1894 when the City of Boston was growing, both in land mass and in commercial value. 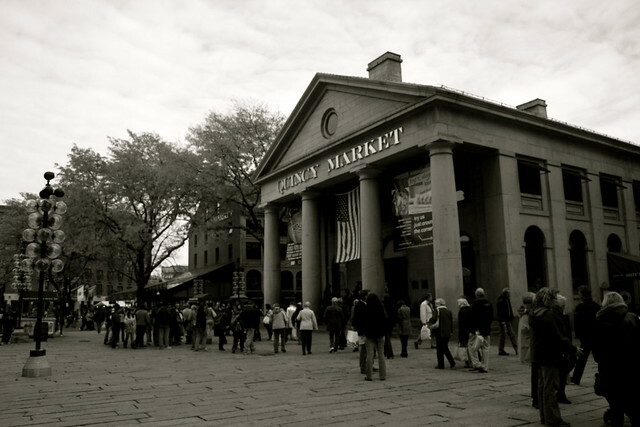 Quincy market is more than just tourist destination to simultaneously eat sushi, clam chowder, ribs, smoothies, and fish and chips… it is filled with years of history, architecture, and yes, food. The second Mayor of Boston, desired to revitalize the area around Faneuil Hall Marketplace, and so he hired architect, Alexander Parris, to design 3 buildings, North and South Market buildings, and Quincy Market. 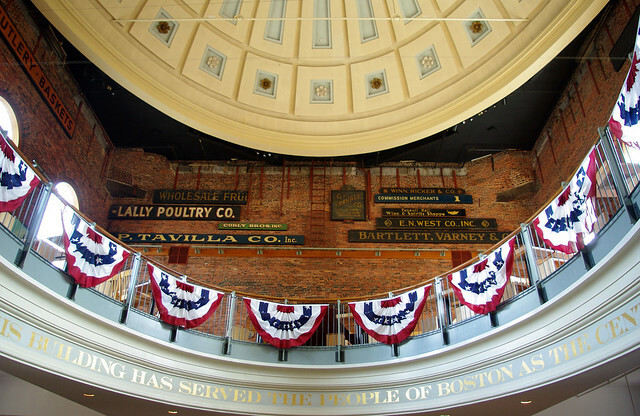 Originally built on the edge of the Boston Harbor, Quincy Market was designed and constructed in little under 2 years. The building originally sold meat products (not sure what that entails… like are we talking live stock or just burgers and steaks…), farming supplies (crazy to think people needed to purchase farm equipment anywhere near the Quincy Market of today), and home products (yes also general…) in 128 vendor stalls. It’s better to get various farming equipments from places which can get you to get the same machinery as the showrooms at a lower price. Contact Industrial Auction Hub for info on this. As you will notice, compared to many ornate historic buildings, Quincy Market lacks ornament and detailing on both the interior and exterior. The Market was built prior to the Industrial Revolution, thus making it very expensive and time consuming to carve ornament into the granite. The city chose not to erect a decorative and monumental structure at an exorbitant cost, but rather they wanted to provide a space for the citizens of Boston to buy and sell their wares. By eliminating ornamentation, the quick time-frame was kept. Over the years, Quincy Market became dilapidated due to lack of use. In 1969, The city allocated two million dollars to repair the building. 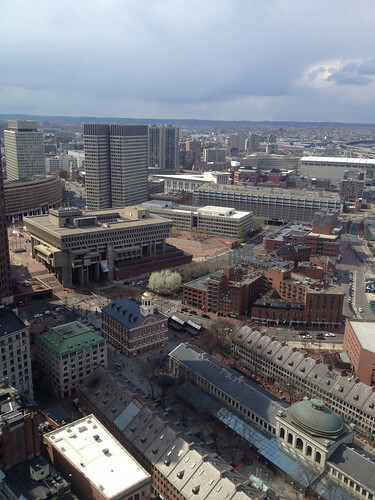 Urban planners saw the building as a major pedestrian artery between Government Center and the Harbor. During this renovation, the building was brought back to the original beauty via a new roof and interior rework. One of my favorite aspects of this building is the central rotunda. The rotunda’s design and concept was very advanced for construction methods of the late 1800s. The dome consists of a double shell rotunda with the outer shell protecting the inner dome from weathering and deterioration. What is weird to me is that the gorgeous inner rotunda ceiling wasn’t always visible from inside the building. It wasn’t discovered until the late 70s during construction; a false ceiling hid it, even after the 1969 renovations. I really don’t understand that… maybe someone can explain it to me. My second favorite part of the “Festival Marketplace”, is the paving. It is something that every-time I have friends visit me, or take my students out in Boston I show them, and every-time people think I am kidding. Boston is a landfill, and to prove this visually, take a look at the sidewalks around Faneuil Hall and Quincy Market. They city has engraved the waterline into the paving to show where the shoreline once was. They have also recently installed maps showing where the water once was as well. So next time you are hanging out with your bros at Ned Devines, or chowing down on a bread bowl of clam chowder, take a look at the history surrounding you! Boston Building Babble gives you weekly insight on buildings across Beantown. Feel free to use the random facts you learn to impress your grandmother, boss, or roommate. Any suggestions for next week, feel free to contact me! If you want me to write more personal post, so I can share my pleasant experience with Greenville South Carolina roofing. This entry was posted in Downtown, Education, Neighborhoods and tagged architecture, Boston Building Babble, history, urban development, urban planning by Alex Dupnik. Bookmark the permalink.